The Super 8 Hammond, your Chicago connection without Chicago pricing. 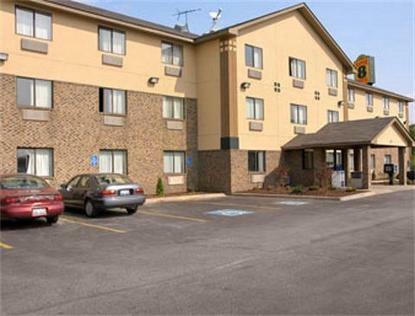 Fast, convenient access to all major highway, I-90, I-80, I-94, Hwy 41. Whether your trip is business or pleasure, we have it all. From roulette wheel to steel manufacturing, large jackpots to soap making, wind-surfing to surfing the net, Lake County has it all.We offer complimentary SuperStart breakfast, free local calls, group and corporate discounts. Our rooms feature 27 inch TVs with extended cable and free HBO, hair dryers and clock radios. Many of our rooms also feature in-room coffee, micro-fridges and irons and ironing boards. Shuttle service available to and from Amtrak, Greyhound, South Shore and Coach USA. Also have Free Parking. No Pets allowed.